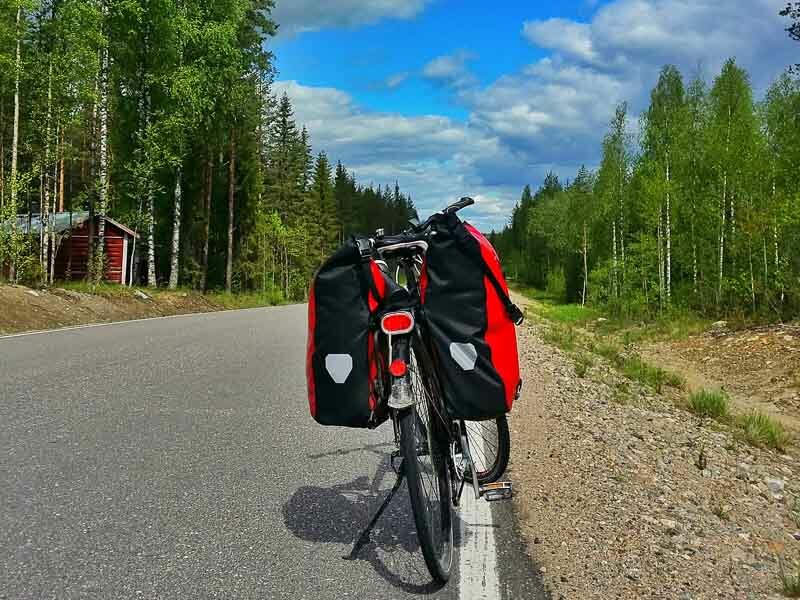 The EuroVelo 13 (Iron Curtain) is a 1700km long cycling route in Finland! It takes you through some of the least densely populated areas in Finland! If it’s solitude you’re seeking the EV 13 in Finland is a fantastic choice! Between this article and Cycling the EV 13 in Finland, you should be in good hands! I’d love to hear from you if you’re considering cycling this route! It’s unlike anything I’ve ever done! It will change your perception that Europe is overcrowded, or that there is no nature in Europe. At the same time, it provides a history lesson about the Soviet Union’s Iron Curtain and how it impacted Finland. While I really enjoyed cycling 1350km of the EuroVelo 13, it does require some advance planning, since much of the route is so remote. What exactly is the EuroVelo 13, Iron Curtain Trail? The official definition from Wikipedia: The Iron Curtain was the ideological conflict and physical boundary dividing Europe into two separate areas from the end of World War II in 1945 until the end of the Cold War in 1991. The term symbolized efforts by the Soviet Union to block itself and its satellite states from open contact with the west and non-Soviet-controlled areas. The Iron Curtain Trail itself covers 10,400km in 20 countries with 14 UNESCO sites en route, along with numerous points of interest related to the Iron Curtain! Click here to read more about the Iron Curtain Trail and why I choose to do it. How popular is the EuroVelo 13, Iron Curtain Trail? The route is not well known, even in Europe. It’s very new and some sections of it aren’t even built yet! In Finland, (as of June 2015), there aren’t even signs for it. As a result, most locals aren’t even aware that it exists. It’s in sharp contrast to the EuroVelo 6. The Danube Bike Path section from Passau, Germany to Vienna, Austria, which I did before attempting the EV 13. It’s the second most popular cycling path in Europe with 55,000 cyclists biking the 326km each year, but needless to say you definitely won’t be alone! Is it safe to cycle the EV 13 in Finland alone? I can honestly say that as a solo female cyclist, I had a few safety concerns before starting my trip, as the route is really remote in some places. But never once did I feel threatened. In 1350km, only once did someone pull over and that was to offer me an apple and some water – that is one of my favourite memories from my entire trip! I only met one other person who was cycling the EV 13 on my whole trip, and she was also a solo female cyclist. She was in her 70s and said she also felt safe. Having said that, ensure you have a mobile phone and a SIM card, in case you need to call for help. The emergency number for Finland, is 112, as it is for all of the European Union. Here is a guide to calling 112 in Finland. Note: I only cycled the EV 13 in Finland, I cannot comment on how safe it is to cycle the EV 13 route as a solo female in other countries. How are the road conditions of the EV 13 in Finland? The roads are in excellent condition. You have the option of taking cycling paths for parts of the southern route, and then you’ll be primarily cycling on secondary roads or highways. Drivers are almost always courteous and move over whenever they can. The only two sections of road that I did not feel comfortable on was highway 6 between Savonlinna and Kittee. It has very narrow shoulders and was really busy. Fortunately, it’s a short section. I would recommend doing this section early in the morning, or later in the evening when it’s less busy if possible. I was also rather weary cycling also between Saariselka and Inari, but this was in part due to the strong winds and me suffering from Handlebar palsy which left me unable to control my bike as well as I would have liked. Under other conditions, I believe I would have felt fine with this section. As I mentioned, the road conditions are great! I had previously been to Finland three times and thought it was all flat, but boy was I wrong. Eastern Finland and Lapland? Not nearly as flat as I thought they were! I’m not talking about huge hills – the highest fell (hill) in Finland is Halti at an elevation of 1324m – and not on the Iron Curtain route. But there are rolling hills – and lots of them! They wouldn’t be difficult if there weren’t so many of them, seemingly one right after another! Which direction is best to cycle the Iron Curtain Trail? 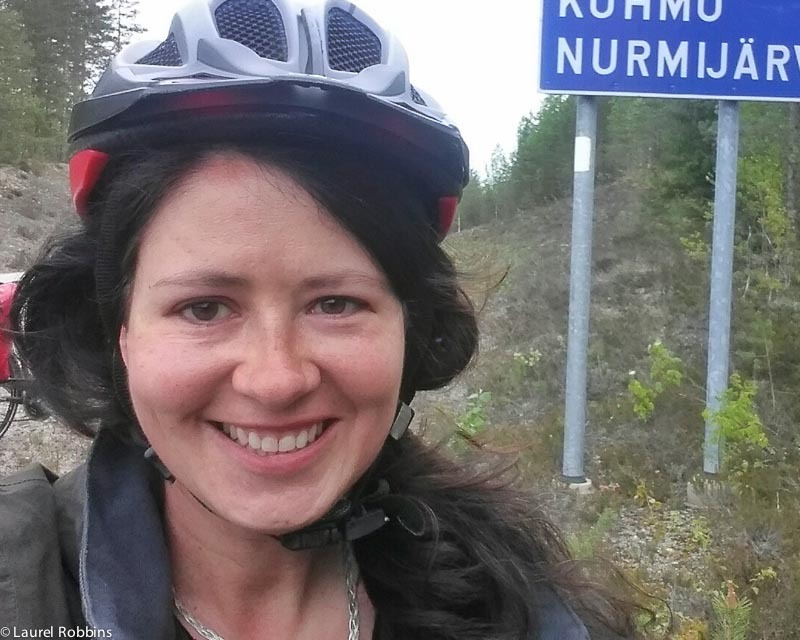 I cycled it from south to north, as I wanted to finish in Nuorgam, the most northern point in the EU – and not on the Iron Curtain route (I veered off it just north of Inari to do so). I also faced a strong head wind on more days than not! The usual way of cycling the EV 13 is to do it from north to south, which is what I would recommend if I was to do it again – anything to avoid a persistent headwind! 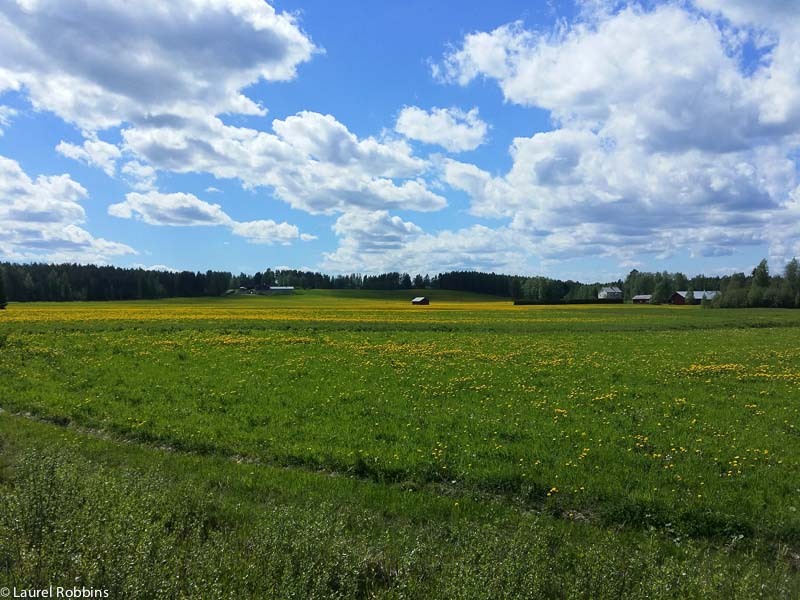 Best time of year to cycle the EV 13 in Finland? I did it in June. Temperatures were cooler than normal but were always above freezing – perfect for cycling. It also rained about half the time. I didn’t use my mosquito repellent once. Based on that, I think June is a good month to do it – mild temperatures and no mosquitos. It would be warmer in July and August, but you would have the mosquitos. September could also be a good month, as long as you’re prepared for some cooler temperature. Obviously the farther north you go, the cooler it will be. 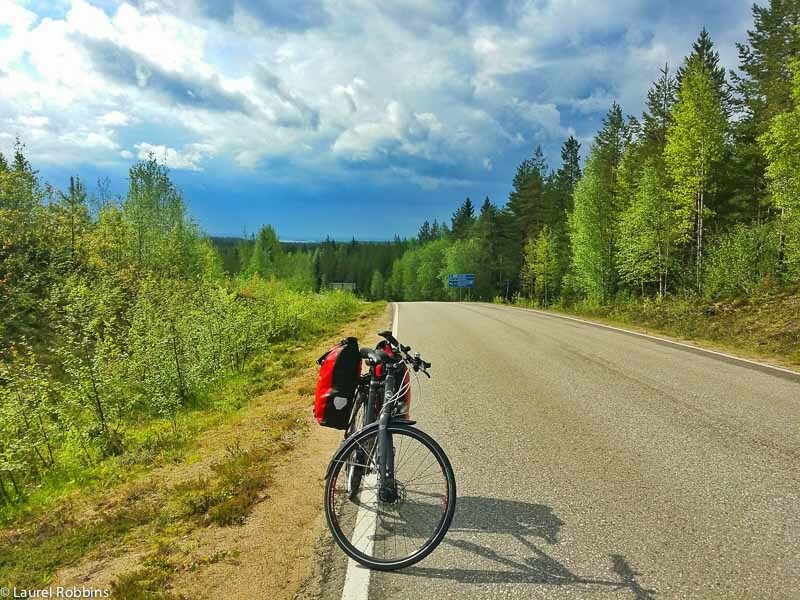 The other HUGE plus of doing it in June through early August is that you’ll get to cycle under the Midnight Sun – when the sun literally doesn’t set! Or depending on how far south you are, it may only set for a couple of hours! I can’t tell you how much I LOVED the Midnight Sun! Bringing a Bike or Renting a Bike? I choose to rent a bike from Bike Planet in Helsinki. I was VERY happy with my bike. It came with an odometer so I didn’t need to bring one, and although I had brought my own bike seat, I didn’t end up using it, since the one that came with the bike was very comfortable. It also came with special tires to reduce the chances of a puncture. It’s still worth purchasing at least one inner tube while you’re there though as there are some places where the nearest bike shop will be a 100km away! How to Get to Näätämö (the starting point in the north)? The quickest way would be to fly from Helsinki to Ivalo. I flew back from Ivalo on Finnair. Keep in mind, that you will have to pay extra for transporting your bike. You can read Finnair’s policy on transporting bikes here. Note: you will also have to disassemble it if you choose to fly. Alternatively, you could take a bus from Helsinki to Ivalo. Bikes are accepted on buses with no disassembly required. The journey takes ~20 hours. From Ivalo, you could take a bus the rest of the way to Näätämö, which takes just under 4 hours. At the time of writing, there was just one bus a day, and that is subject to change. Always check the bus departures in advance. See Matkahuolto for bus timetables and tickets. How to Navigate the EV 13, Iron Curtain Route in Finland? There are no signs (as of June 2015), indicating the EV 13route, but signs should be in place within the next couple of years. You can purchase the book, Cycling the Iron Curtain Trail published by Bikeline, but I found this of limited value since I needed more in-depth information. EV 13 Näätämo to Kuusamo, EV 13 Kuusamo to Lieksa and EV 13 Lieksa to Vaalimaa. These maps were life savers! It would be helpful if you could download them to a GPS, which I didn’t have, so I printed them off and then entered my destination every day into Google Maps on my phone. Google maps (at least on an Android), can be used offline, but be careful with this. On several days, it disappeared, leaving me without a route. Fortunately, I had studied the above maps beforehand, had screen shots of Google maps, and internet access (usually, but not always). I had also purchased a paper road map in Finland, which I referred to quite frequently. How to Prevent Muscle Soreness When Cycling? Despite 18 days of cycling, I had very little soreness. I credit the incredible Finnish saunas for this! I wasn’t a sauna person before but quickly became a convert. There was nothing better after 80km of cycling to relax in a sauna, and then wake up the next day full of energy without any stiffness! 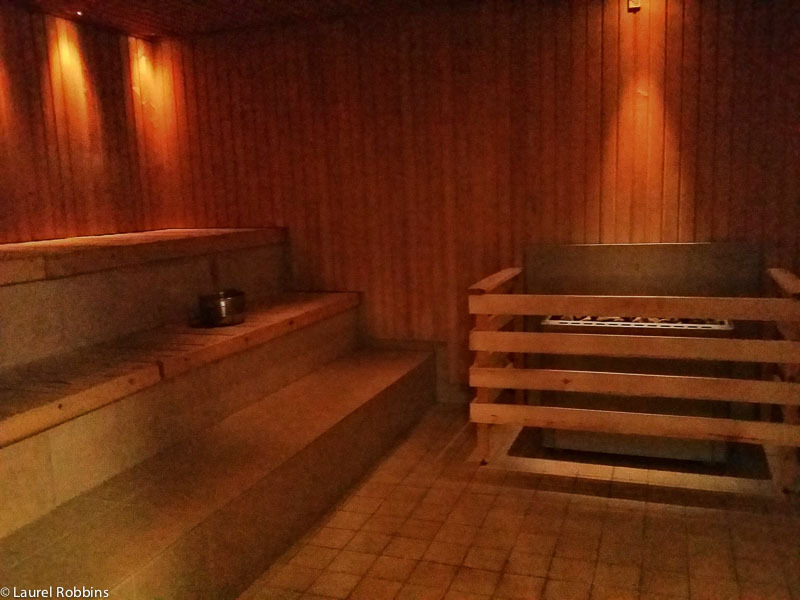 The healing power of the Finnish sauna is really remarkable! What to See Along the Way? I wrote about this in Cycling the EV 13, but what really stood out for me was going searching for the Saimaa Ringed Seal, one of the most endangered seals in the world in Savonlinna. I also loved observing wolverines and bears in Lentiira – not to mention that it meant I only had to cycle 40km that day! You’ll definitely want to check out at least one reindeer farm in Lapland. I really enjoyed the one in Salla. Plus, there are so many interesting stops along the way. Check out my top 7 Must-See Stops on the Iron Curtain Trail. I found that I needed protein for breakfast and a lot of it. On the few mornings when I didn’t have it, the days were really rough. It made all the difference in the world! 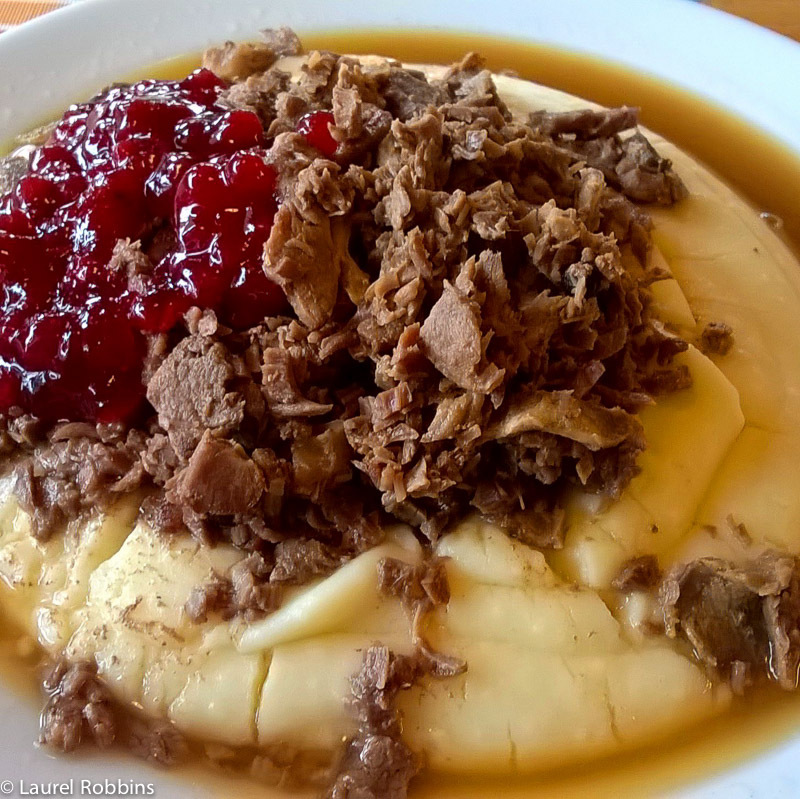 Fortunately, in Lapland, reindeer is a common dish! It was one of the few meals that completely filled me up for dinner! After cycling so much, I had a bottomless pit for a stomach. You’ll also want to bring extra snacks since on some days there might not be a single rest stop. Or there will be one, and it will be closed for some odd reason. While you can get regular food, I highly recommend trying Finnish food. I could have lived on black liquorice candies which kept my energy up! It’s also worth noting that if you stay in a traditional Finnish cabin, you may also need to bring your own food. 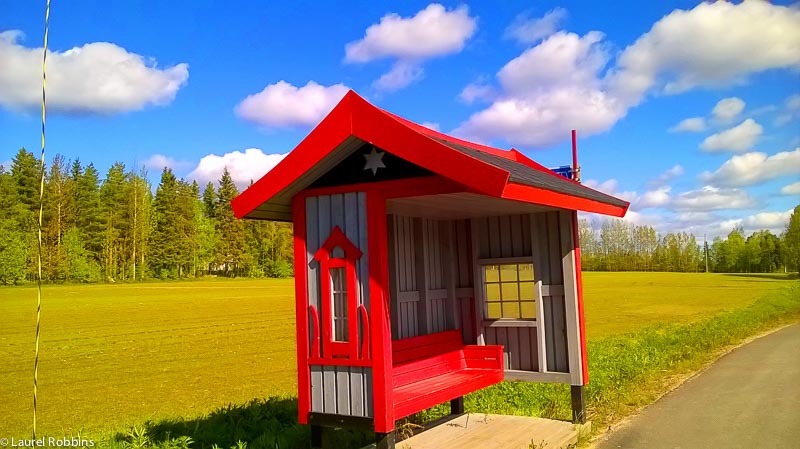 I’ve listed all the places I stayed in Cycling the EV 13 in Finland. You’ll also find more suggestions on the maps on the three links up above. I definitely recommend booking in advance, since in some remote places there will be few places to choose from. I can’t imagine cycling 100km and then trying to search for a place to stay, only to find out that a hotel is full, and that the next place is another 50km away. But that’s a real possibility in some places on the trip, so book in advance to avoid that from happening. I booked every night of accommodation in advance and was grateful that I had done so. Disclosure: Thank you to Visit Finland and to EV 13 Finland for making my trip possible. As always, all opinions are my own. Previous postFrank Slide: The Most Unique Hike in the Canadian Rockies! Like the Little Old Lady, I'm in my 70s too! I plan to ride from Kirkenes south starting in June next year. You can fly to that start point from Edinburgh in Scotland where I live, via Oslo. (I've done it before when I rode from Kirkenes down the Norwegian coast to Bergen in 2012). I really enjoyed your lovely photos which only whetted my appetite for the ride even more. I will be camping much of the time, so will be carrying more baggage than you. There are some really good paper maps on which are overlaid the EV 11 & 13 and National & Regional Routes. These are the Retkeily GT maps, 4 of which cover the whole of Finland at the scale of 1:400,000 for the most northerly section and at 1:250,000 for the other 3. The publishers are Karttaskeskus OY www.karttakeskus.fi. I do have a GPS device but have so far been unable to download the maps shown on the Outdoor Finland site which, as you say, are excellent as my computer says that the site is not recognised. (Incidentally, I read that you are Canadian. One of my daughters lives in Victoria on Vancouver Island and I visit once or twice a year. I have done a couple of big bike tours in the Pacific North West last year and this. In 2014 I rode from Anacortes down to Mexico through the Cascades and Sierra Nevada, and this year up Vancouver Island and then by ferry to Prince Rupert & Haida Gwai, then back to the mainland and across the Yellowhead Highway to Prince George & over the Rockies to Jasper. Then down the Icefields Parkway to Lake Louise & Banff, then back over Kicking Horse Pass to Golden and on to Kamloops. Then into the desert country of central BC, to Cache Creek and down the Fraser River Gorge and back by ferry to the Island. With some time to spare I did another ride round the Olympic Peninsual in WA). Thanks for your very helpful blog. @Bruce - Thanks for your message and for the tips. Great thing about camping in Finland is that you can do it almost anywhere. Your bike trips sound fantastic. Despite being Canadian, I've cycled very little in Canada - didn't really take it up until I moved to Europe. Laurel, sounds like a fantastic trip and to do it on your own is just amazing. I'm in the early stages of planning my own solo ride of the full Iron Curtain route in a couple of years (just don't tell my wife - she doesn't know yet!!!). Budgeting is going to be my big thing so wondered if you would mind sharing how much your Finland trip cost in terms of food, hotels, B&B's etc. Many thanks in anticipation and for sharing your journey. Any more trips planned? @David - Excellent! And I won't say a word to your wife, my husband thought I was crazy ;). I stayed in hotels and cottages which were ~ €100 a night, but if you wanted to camp, in Finland you can camp almost anywhere, as long as it's not private property so that would be cheaper. Breakfast was usually included where I stayed, and I bought lunch from a grocery store most days, since there aren't restaurants/stores along the entire trail. I usually went out for dinner and that was ~€12-€20 on average. I have a couple of 7-8 day hiking trips planned, but no cycling trips at the moment - need to change that :). Please let me know how your trip is, I would love to hear about it! Thank you Olga, I hope so too!